Intra Hoof-Sol Spray is the ready-to-spray solution for optimum hoof care! 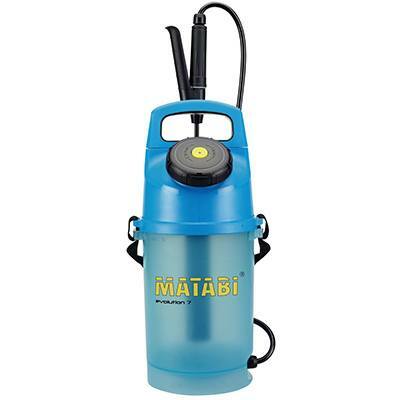 For best performance use the MATABI Sprayer. This unique development is a specially created ‘pearl-network’ that keeps the active substances homogeneous in solution and ensures that the product sticks firmly to the hoof. Spot-spraying on the hoof guarantees long contact time at a lower dosage. Adhesion is excellent even on wet skin or hoof. Using Intra Hoof-Sol Spray reduces the waste caused by run-off on the floor. The use of the Matabi applicator or any automated sprayer is recommended for the best experience with the Intra Hoof-Sol Spray. We recommend using our Intra Hoof-Sol Bath in conjunction with the weekly spraying sessions to optimize hoof health management. Cows with lameness issues need special care and attention. Use a professional hoof trimmer to treat your animals before implementing a spraying and/or foot bathing protocol. TIP: click on one of the sizes above to quickly add it to your shopping cart! Ready-to-use – no mixing or dilution required! Early lameness detection – more focus on hooves with weekly spraying sessions. 100% clean solution – each hoof gets product uncontaminated by the hooves of other cows. Environmentally friendly – good adhesion helps reduce product dosage and minimize run-off on the floor. Safe to use – no formalin, antibiotics, acids, or offensive smell. 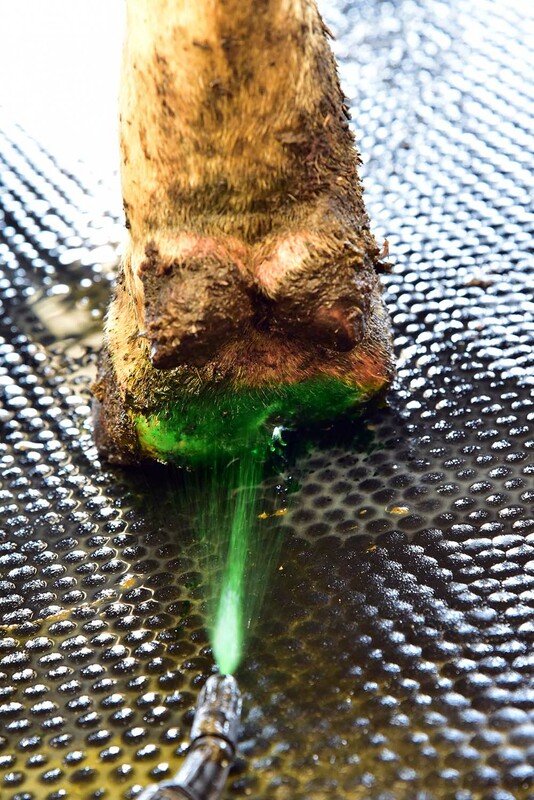 Easy product detection – the stickiness and the green color ensure that no hoof is accidentally omitted. Optimum viscosity – the good flowability of the product prevents blockages of the spraying nozzle. The Hoof-Sol Spray product flyer is available as a PDF download.